Early in the season, we have many plants, including herbs of all varieties and sauce and salad tomato plants. Overall, we grow approximately 150 varieties of vegetables, flowers, and herbs on 4 acres of fields. Creeksong Farm also sells eggs from our free range chickens and humanely raised beef from our angus steers. 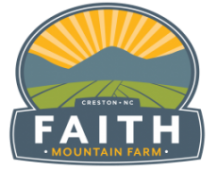 Providing fresh farm-raised meats, quality yarns, and locally made handcrafts to the North Carolina High Country since 2001. All meat is naturally raised and processed in a USDA-inspected facility. 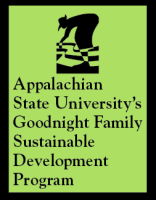 App State students utilize the farm to enhance their classroom lessons about agroecology, agroforestry, and sustainable farming practices. Results from research on the farm are shared with local community members to encourage sustainable agricultural practice in the region. Forestry with draft horses. We offer naturally grown produce, grass fed heritage beef and lamb, pastured poultry, sorghum molasses, and sustainable wood products. Traditional art, crafts and music also available. 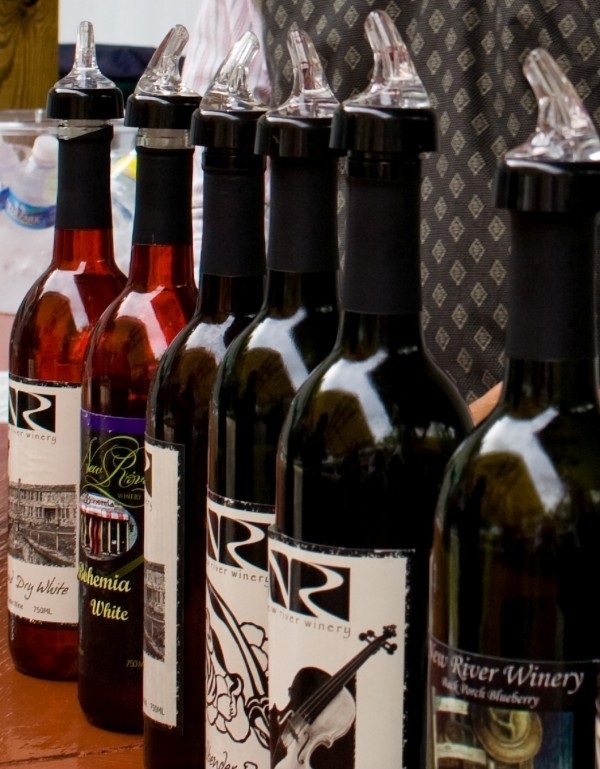 Nestled in the beautiful Blue Ridge Mountains of North Carolina, New River Winery is the first commercial winery in Ashe County. If you are looking for a new and different wine experience, breathtaking views, and an escape from the city lights where the pace of life is slow and measured only by wonderful experiences, then we welcome you to New River Winery and Ashe County, N.C.
Old Orchard Creek is an historic artisanal Appalachian mountain farm. We reaise blueberries and apples using sustainable and organic farming practices. 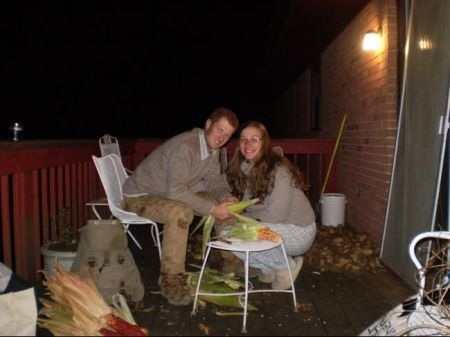 Explore our site, plan to visit, and enjoy the sights of the farm. Woodland harvest is an organic permaculture farm where we attempt to incorporate sustainable living in all our choices as we continue to develop our permaculture visions. We raise vegetables, herbs, fruits, & specialty products along with pastured pigs, & a variety of hens, guineas, roosters ducks and bees. Come check out our farm to see small scale permaculture techniques from aquaculture & mushrooms to a living green roof & microhydro electric system. Zydeco Moon farm has been growing beautiful organic produce for the past four years. We are certified organic by the USDA. Our primary crops are asparagus, sugar snap and snow peas, all varieties of lettuce, beets, spinach, leeks, heirloom tomatoes, bell peppers, summer and winter squash and fingerling potatoes. We're always looking to try something new, including our latest, purple and yellow cauliflower. We sell at the Watauga County farmers market and at the farm.